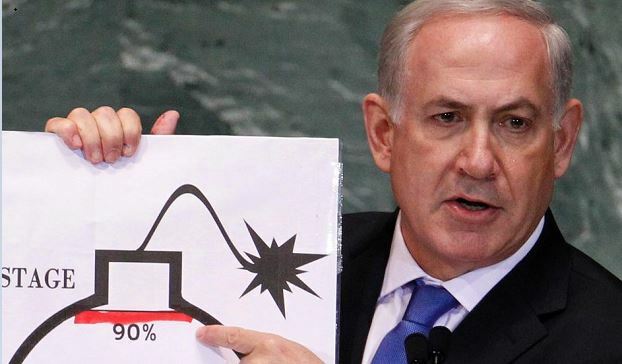 WASHINGTON – The nuclear agreement with Iran leaves Israel with little alternative but to launch a military attack against the Islamic regime’s nuclear facilities, a leading Middle East expert says in a report in Joseph Farah’s G2 Bulletin. “Assuming the (agreement) goes through the U.S. government and the U.N. Security Council, it’s hard to see what the Israelis can do to protect themselves other than attack the Iranian facilities,” said Middle East Forum president Daniel Pipes in an interview with G2. Prime Minister Benjamin Netanyahu has been outspoken in his opposition to the agreement.